Wheal Jane Consultancy were appointed by the Pendeen Community Cemetery Project Committee to undertake an investigation of the ground and groundwater conditions at the site of a proposed new cemetery. This would be the first community funded cemetery in the county, accommodating approximately 341 burial spaces, as well as a pleasant environment for the community to use as a meeting place and for quiet contemplation. Wheal Jane Consultancy have been working closely with both the cemetery committee and the Environment Agency in assessing the site’s viability for the proposed scheme. A preliminary investigation involving the excavation of 20 trial pits on a 20-metre grid was undertaken to evaluate the thickness of subsoil overlying the granite belonging to the Lands End intrusion. A choropleth map was produced to demonstrate the varying thickness of subsoil across the site. A secondary investigation was undertaken to determine the depth to groundwater. A Comacchio GEO 205 drilling rig was used to drill 10 metres below ground level at a number of locations, followed by the installation of groundwater monitoring wells. 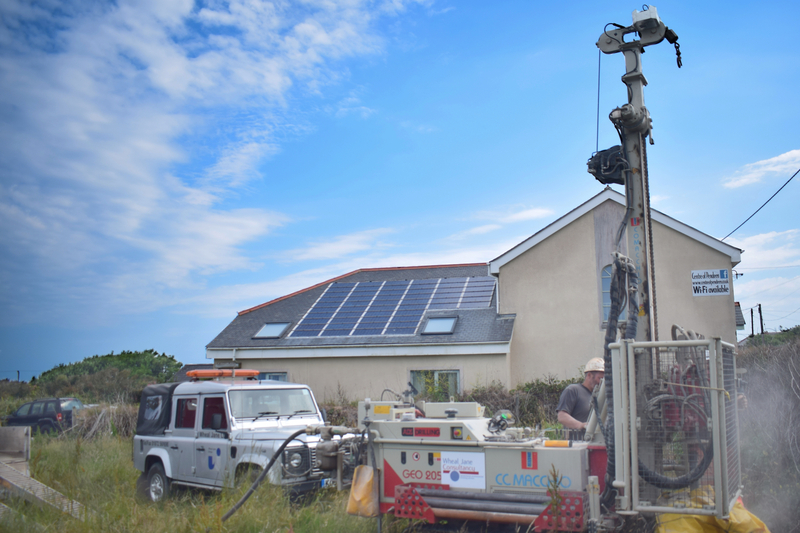 Groundwater monitoring will now take place over a period of months, during which time Wheal Jane Consultancy will continue to liaise with the Environment Agency.